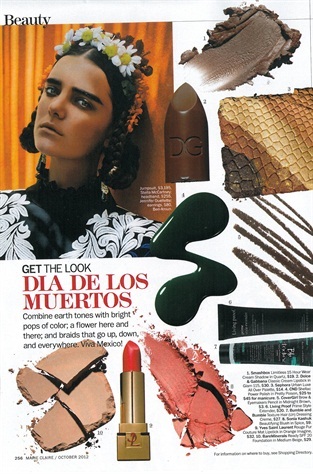 Marie Claire's October 2012 issue tells readers how to look their best on Dia De Los Muertos, a Mexican holiday that translates as "day of the dead." Combine earth tones with bright pops of color. Place a flower in your hair and wear a lot of braids. The recommended polish is CND Shellac Power Polish in Pretty Poison.